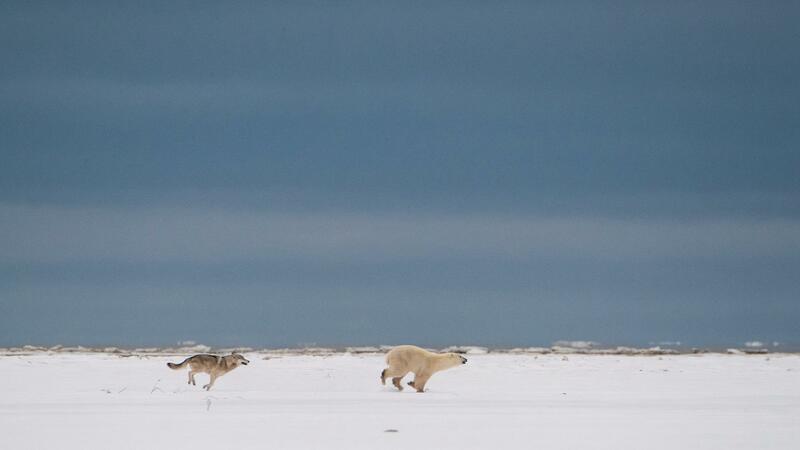 British Wildlife photographer Russell Millner captured the astounding chase between a polar bear and a wolf at Nanuk Polar Bear Lodge on the Hudson Bay coast in Canada. 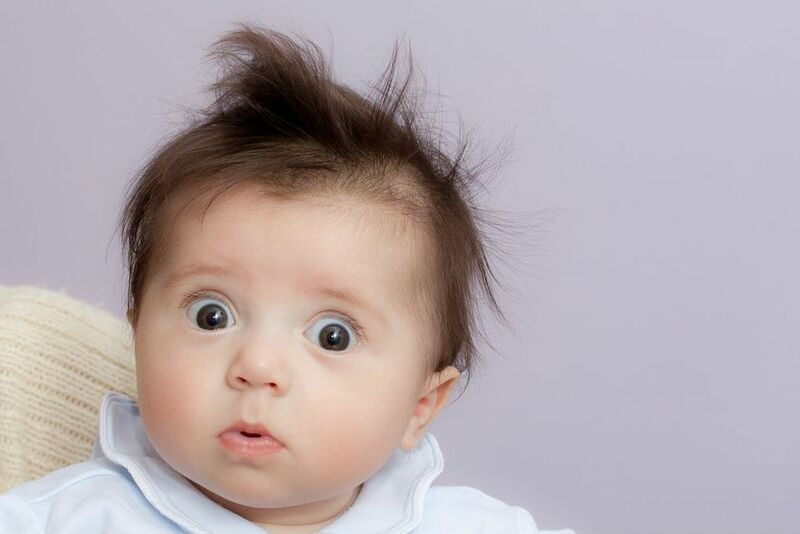 Polar bears are generally considered apex predators and rarely afraid of any animals in the Arctic region. 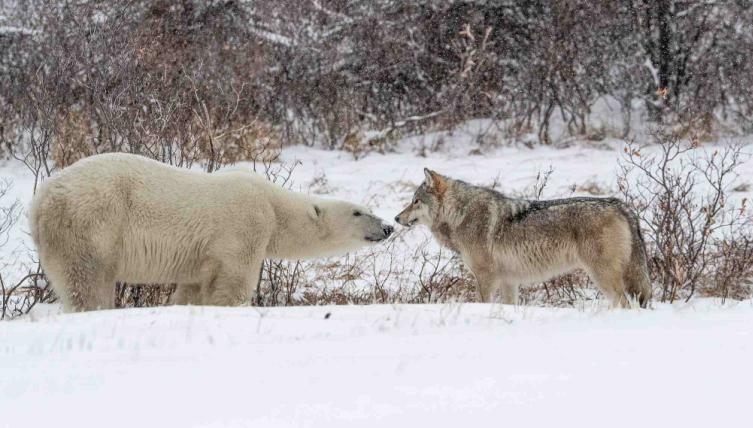 However, this wolf seems to have the guts to fight the polar bear and defend its territory. 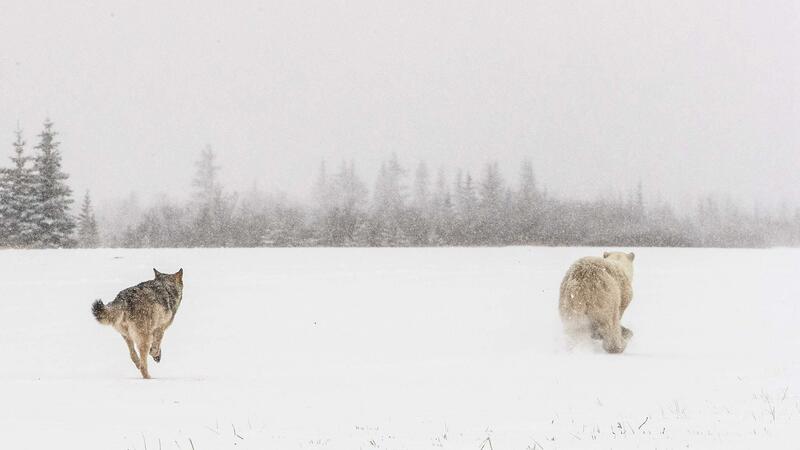 Although this is a rare scene, scientists have seen evidence of a pack of wolves hunting polar bear cubs before by tracing their tracks in the snow. Normally, some wolves would distract the mother polar bear away from the den, while another takes the cub away.